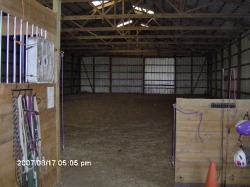 Our barns ensure the comfurt for you and your horse. 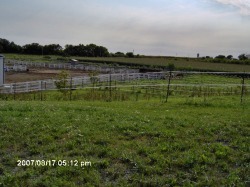 Three kinds of hay is provided and also graining twise a day and haying is provided. We supply the grain and hay but you can buy your own grain if on special feed. Our grain is 12% sweet and a complet feed our hay is alfalfa,grass, and a marsh mix. What ever your horse needs we have. Stalls our 12x14 with thick heavy matts and lots of saw dust shavings. Offering a huge outdoor with lighting jumps, barls, poles and much more. In the winter months our indoor is heated and also has lighting. It is sprayed down twise a week and cleanded daily. Inside and outside bored is opptial. Inside bored is 150 per horse and our side bored is 120 per horse. 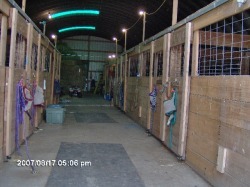 Stalls are cleaned daily with fresh water and hay, grain is feed when horses are in dew to flys and exedra. On thows cold winter days you can relax in our heated loung that offers a refrigerater and microave. each border gets there own personal locker that holder two saddles and lots of bridles and of cource much more. Hores are led out one at a time with a lead rope and are put in eather dry lots or paster. We love our animals and treat them with respect and our barn is there home.